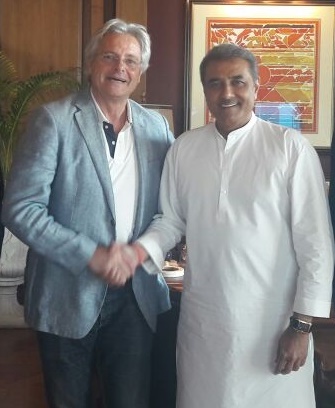 The All India Football Federation, on Wednesday appointed Portugal's Luis Norton de Matos as the head coach of the India U-17 team for the FIFA U-17 World Cup scheduled to be held in October this year. De Matos had earlier met the AIFF Advisory Committee comprising former India captains Bhaichung Bhutia and IM Vijayan apart from Sports Authority of India (SAI) DG Injeti Srinivas for a round of interviews. He also met AIFF president Praful Patel in Mumbai on Tuesday for a final round before the parent body zeroed in on him. He has had five appearances for the Portugal national side. The 63-year-old coach thanked AIFF for making him a "part of the project." "My role will be to orchestrate everything wherein the players will be playing their part," he told the AIFF Committee. "I admire AIFF's vision and the U-17 World Cup will act as a base for development of Football in India. The players need to believe in themselves to do something special for the Country," he stated. "I do have an Indian connection as my great grandfather was born in Goa," he informed.